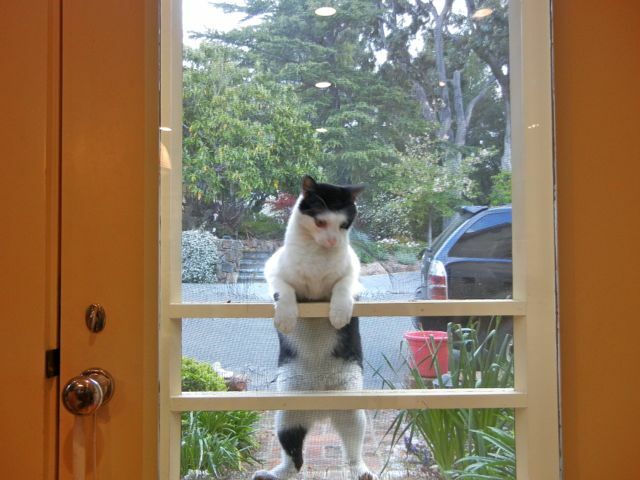 Oreo would like to come in. 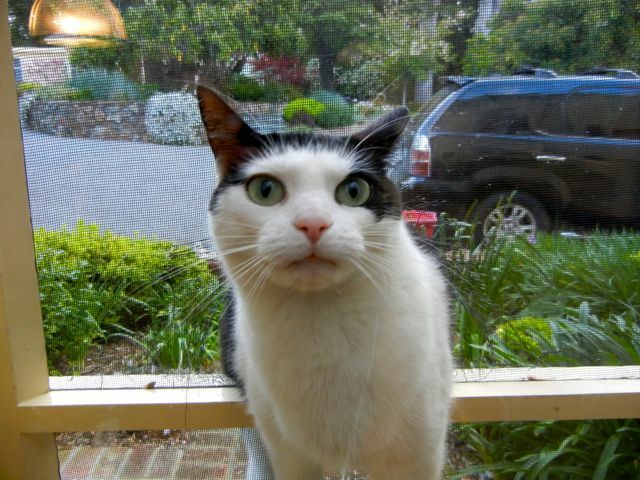 This is Oreo the cat, our pet and professional varmint-killer. Oreo was a barn cat- a mouser who protects the feed at a horse barn- who lost her tail to some coyotes (it is not all goodness and light in the country). She was nursed back to health by friends, who are allergic to cats, and our boys fell in love with Oreo- so we took over. Oreo would like to come in now, and thinks we are being a bit "slow"
Oreo is a great cat, affectionate and playful inside and a stone-cold killer outside. Happily, Oreo mostly leaves the birds alone and focuses on rodents, lizards and the occasional snake. Since we don’t like semi-dead snakes being brought into the house as “gifts”, Oreo does not have a pet door. But as you can see, Oreo seems to think she does. 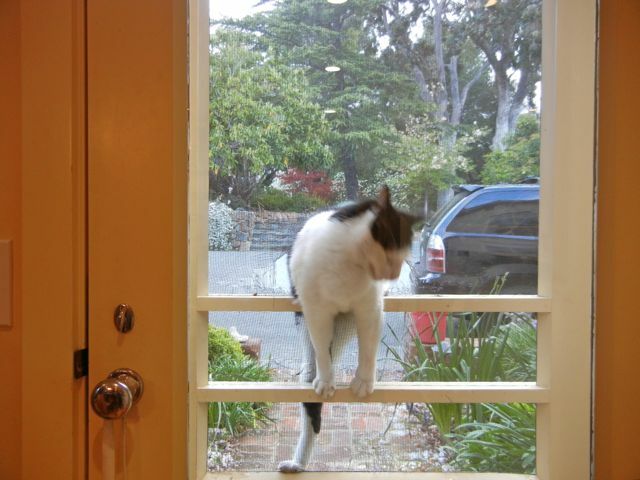 The screen door has been no match for the cat. She can climb through the hole in the screen, but prefers to perch in the hole and “remind” us that she would like to come in. Funny stuff that gives you a smile in the morning- no so much at night. The cat will get her revenge…she always does..
What an adorable cat! The rescued cats are the best!